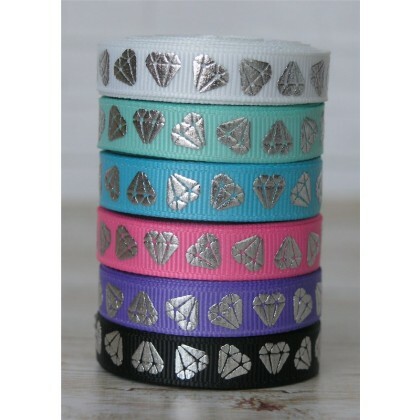 Blinging Silver Foil Diamonds grace this bright ribbon! These are truly a girl's best friend. Available in your choice of 6 colors. See the matching 7/8" Diamonds (listed separately)! Diamonds are printed on one side. Hand washing is recommended to keep prints bright. 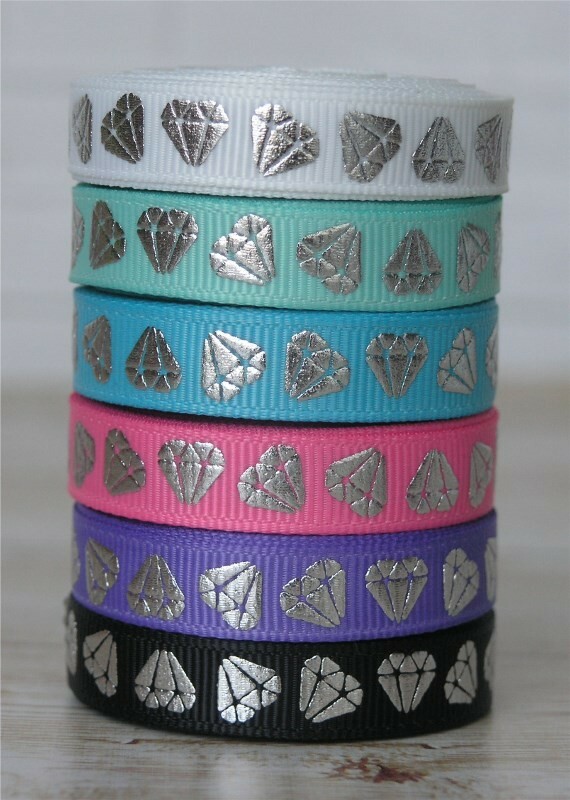 Diamonds may show wear from heavy handling as any print would. 100% Polyester, low iron. Each quantity of '1' is 5 yards. Multiple quantities will be cut in a continuous piece and rolled together wherever possible.